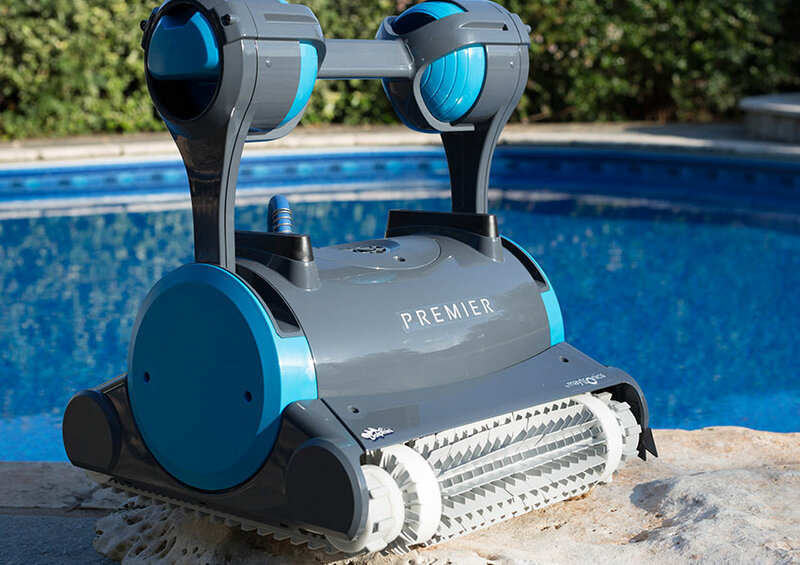 With groundbreaking design and a level of efficiency never seen before, the Dolphin Premier Robotic Pool Cleaner has redefined what you expect from a pool robot. Highly efficient, state-of-the-art DC motors and an ingenious Multi-Media filtration system deliver an exceptional user experience while reducing energy use up to 87%. Now you can choose the exact, right media for any job. Want to clean fine debris and algae that passes through other pool cleaners? Go micro-filter. Need to pick up a bushel of leaves? Go over-sided debris bag. How many robotic pool cleaners offer Multi-media? Exactly one...only Dolphin Premier pool cleaners. The underwater robotic cable swivel is one of the greatest engineering accomplishments in the automatic pool cleaner industry. 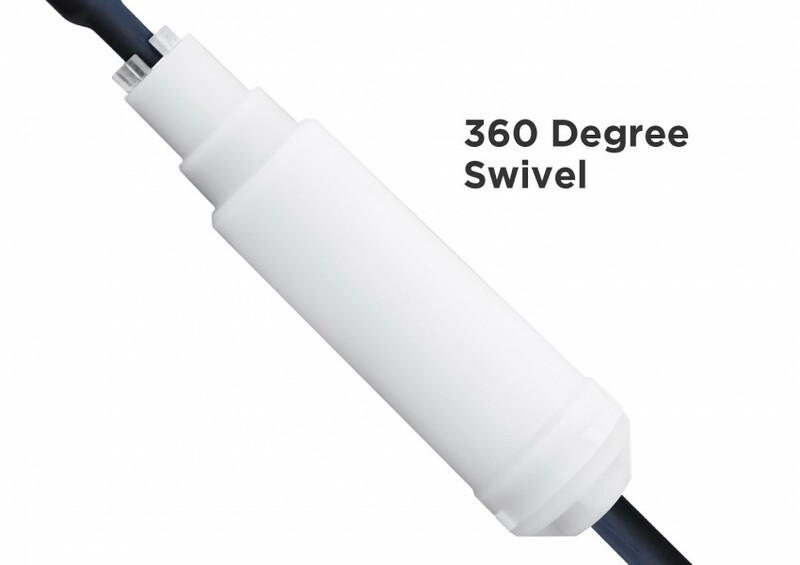 A swivel ensures that your cable won’t get tangled or knotted, so you can put the best robotic pool cleaner in your pool and not have to monitor it. What other robotic pool cleaner company offers a swivel? Only Premier Dolphin pool cleaners. When you unleash the Dolphin Premier automatic pool cleaner into your pool, it finds the fastest, most thorough path and cleans it with unparalleled precision. Smart-Nav software scans and calculates the optimal pattern for faster cleaning and improved efficiency. 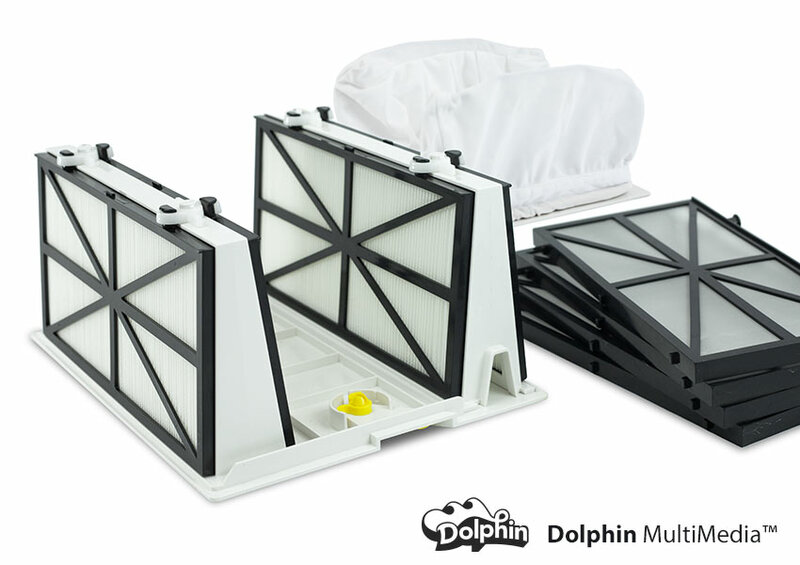 With the ability to sense ladders and drains, Dolphin pool cleaners won't get hung up like ordinary cleaners. Microprocessor controlled pool scanning makes the Dolphin Premier deliver a smarter pool cleaning experience. The Dolphin Premier robotic pool cleaner is equipped with 24 volt motors to operate with maximum efficiency. Running on just 180 watts, that’s nearly 90% less power than typical AC booster pumps. 3,000 RPM translates to an hourly cost of only 5 cents per hour. But the Dolphin Premier robotic pool cleaner was designed to go a step further. By cleaning quickly and thoroughly, they can set the Dolphin Premier pool robot to automatically run just when you need it - daily, 2x per week or 3x per week. Wheels aren’t going to cut it. In pool water, it is easy for wheels to slip resulting in wasted energy and poor performance. The HyperGrip track system is designed to scale the walls of your pool with unmatched agility. The much greater surface area of a rubber track improves directional control and delivers substantially more force than wheels. The Premier pool robot features aggressive rubber tracks for superior power delivery, better control and precise tracking. When wheel slippage is eliminated, energy is conserved. One of the best robotic pool cleaners should have one of the best warranties. Our no-nonsense warranty is for 3 years, is not pro-rated, and is not limited to hours or cycles. It’s hands down the best warranty in the industry to protect your pool-cleaning investment. 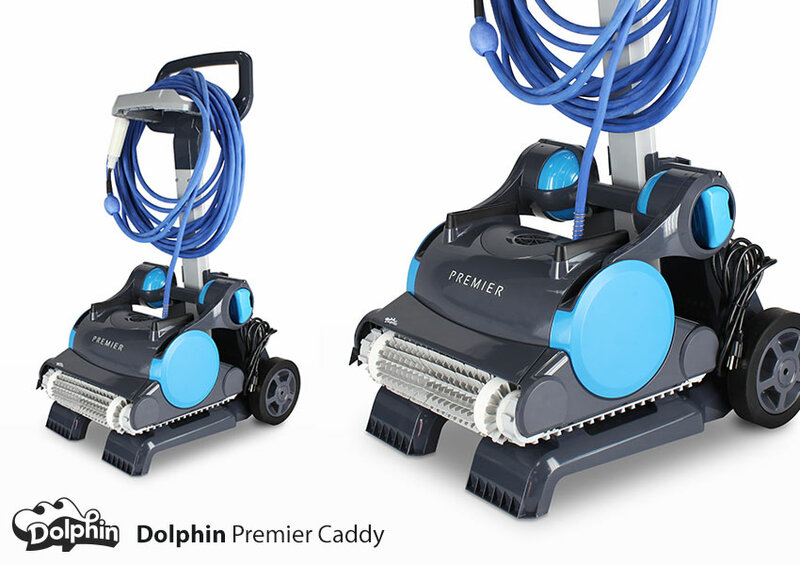 The Dolphin Premier robotic pool cleaners is designed to minimize downtime. Built on a modular DIY platform, in the event that Premier needs service, any component can be easily replaced by the owner or any of our many dealers in about 10 minutes. Rapid repair means that your Premier robotic pool cleaner will never be out of your pool too long.